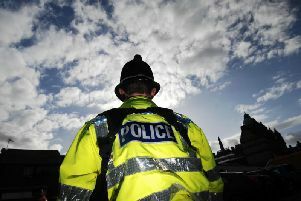 Police have slammed the door shut on a problem house in Burnley after complaints of anti-social behaviour. On Saturday evening, the Trinity Neighbourhood Policing Team served the occupier of a house in Cog Lane with a Temporary Premises Closure Order following a number of complaints in relation to anti-social behaviour by the occupier and visitors to the address. A court hearing will take place on Monday in order to apply for a full Premises Closure Order, meaning the property will be boarded and closed for a period of not less than three months. A police spokesman said: "The police action was the result of evidence gathering by both the police and Burnley Borough Council Anti-Social Behaviour Team with the support of the local community and is an example of the powers available in order to deal with significant anti-social behaviour. It is unfair on the community to have to put up with this type of behaviour and it will not be tolerated. Ward Coun. Neil Mottershead said: "I would like to thank the police and Burnley Council Anti-Social Behaviour Team for all they have done for the residents of this area in Trinity. "Both myself and Coun. Charlie Briggs have done a lot of work with these residents and people should not have to live with this sort of behaviour. Let’s hope this serves as a warning to people that want to disrupt people’s lives in this way, that it will not be tolerated."